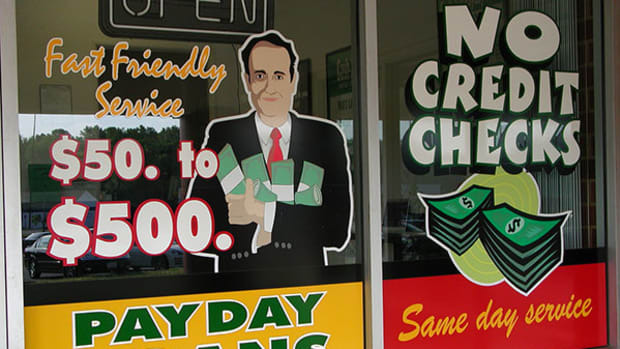 In 2009, consumer advocates in Washington State decided to try a new approach to regulating payday loans. Like reformers in other states, they&apos;d tried to get the legislature to ban high-cost loans outright—but had hit a brick wall. 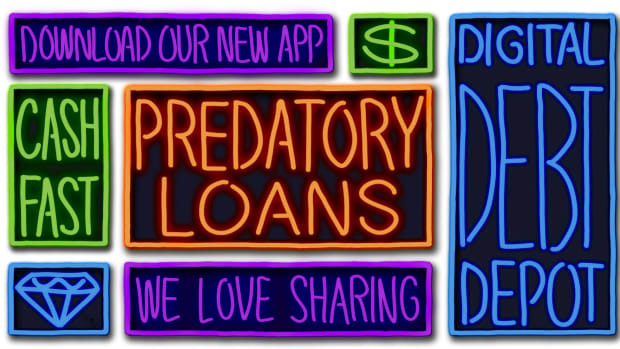 So, instead, they managed to get a law passed that limited borrowers to no more than eight payday loans in one year. 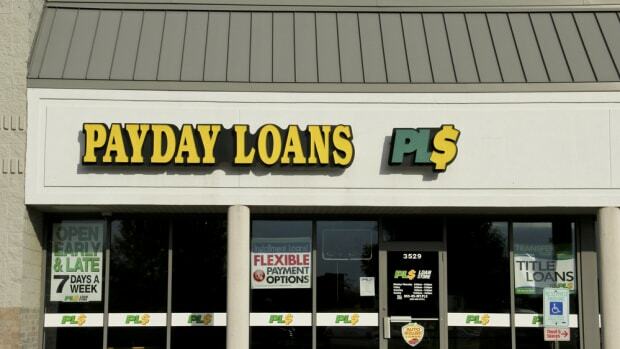 At least in Washington, most payday loan borrowers didn&apos;t take out eight loans in a year. Data from 2009, the last year before the reform bill went into effect, shows how many people in 2009 took out one to four loans, five to eight loans, and so on. 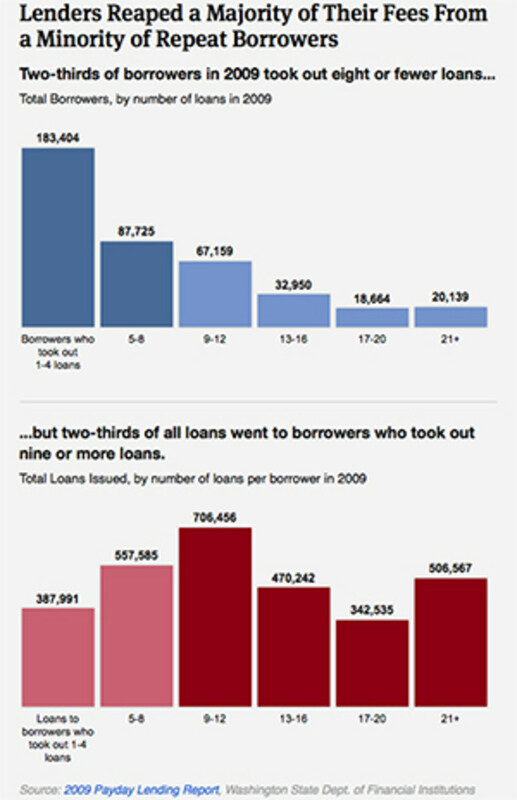 Two-thirds of these borrowers took out eight or fewer loans in 2009. As expected, Washington&apos;s reform has not affected most borrowers. 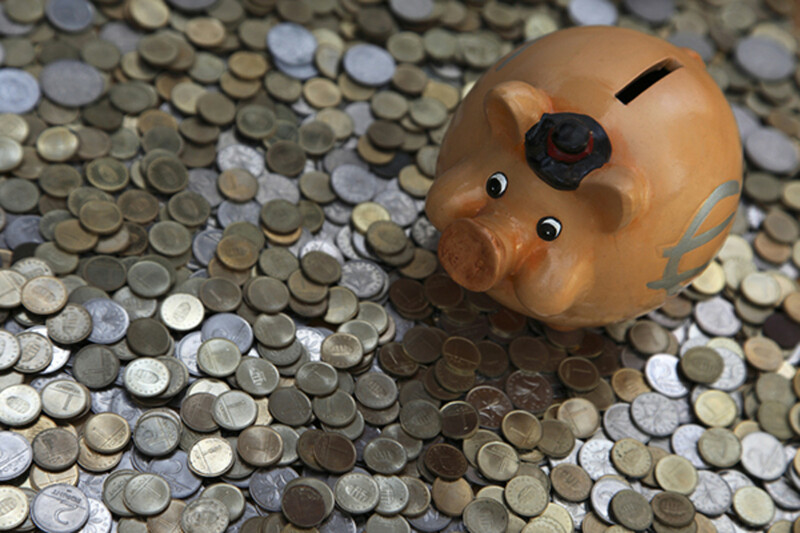 According to the 2011 report from state regulators, only about 24 percent of borrowers had taken out the maximum eight loans over a 12-month period. 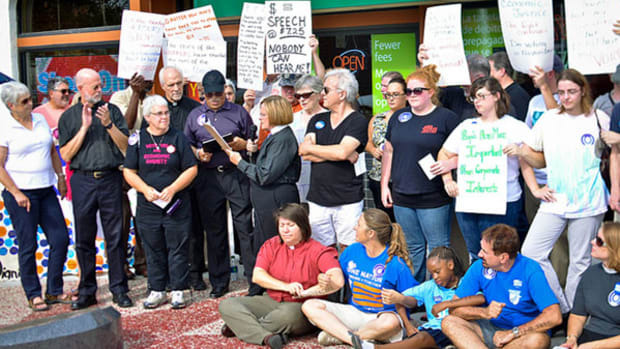 The law "worked way better than we expected," said Marcy Bowers, director of the non-profit Statewide Poverty Action Network. Meanwhile, the industry, which opposed the 2009 law, has recently pushed legislation to allow high-cost installment loans in the state. As we report, that&apos;s a typical response by the industry to unwanted legislation. 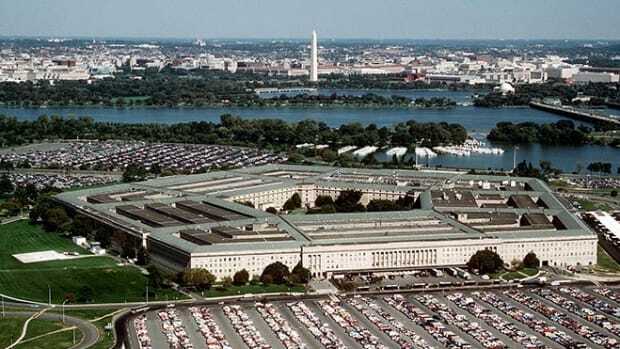 Washington&apos;s law has proven a model for other states. 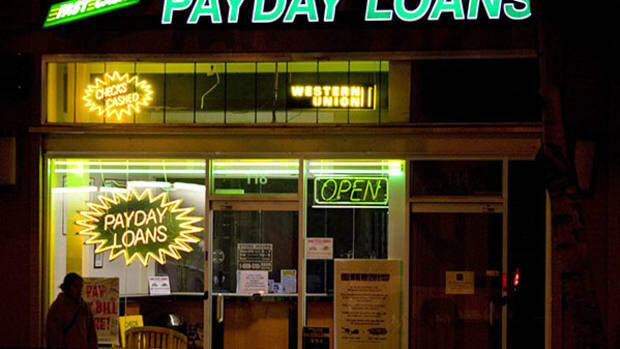 Delaware passed a law in 2012 that limited payday loans to five in a 12-month period. Earlier this year, consumer advocates pushed a similar law in California, but it stalled. Asked for comment about Washington&apos;s law, Amy Cantu, a spokeswoman for the Community Financial Services Association, the payday lenders&apos; trade group, said lenders work closely with state regulators and cited the group&apos;s best practices, which include offering customers a payment plan when they want more time to repay a loan.